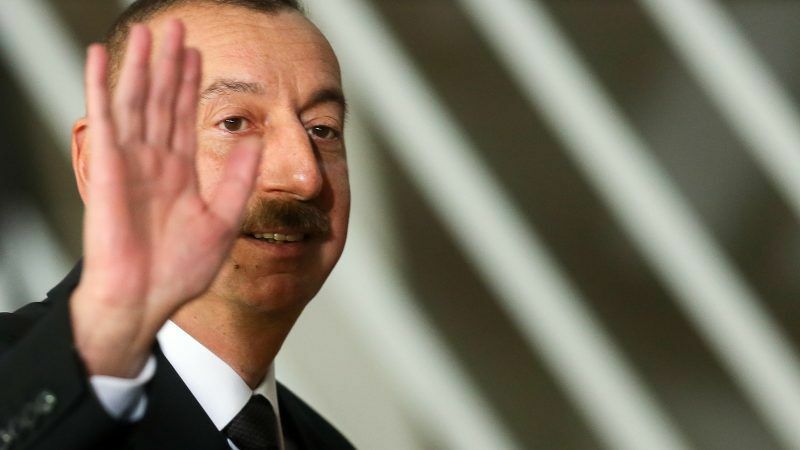 There is little doubt that the winner of the snap presidential election in Azerbaijan on Wednesday (11 April) will be its incumbent head of state, Ilham Aliyev. More interesting is the motive for such a move – which may well be the wish to counter the consolidation of power in arch-foe Armenia. Azerbaijan’s strongman Aliyev called in February a snap presidential ballot for 11 April, six months ahead of schedule. The oil-rich country was initially set to hold the vote on 17 October and the surprise decision sparked strong criticism from opposition parties. 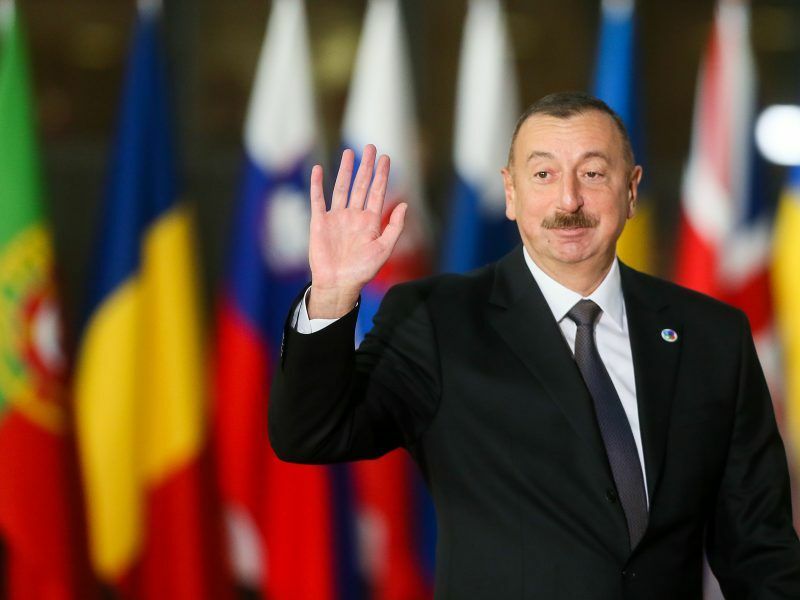 Azerbaijan’s strongman Ilham Aliyev called on Monday (5 February) a snap presidential vote for 11 April, six months ahead of schedule, as opposition politicians slammed the surprise move. The real intrigue is however in the balancing act with Armenia, a neighbour with which Azerbaijan is technically at war over the Nagorno-Karabakh region. Ethnic Armenians backed by Yerevan seized control of Nagorno-Karabakh from Azerbaijan in the early 1990s, in a war that left an estimated 30,000 dead. The two sides never signed a definitive peace deal and all attempts to negotiate a final settlement have stalled. In April 2016, at least 110 people were killed in Nagorno-Karabakh on all sides as the simmering violence escalated into the worst clashes in decades. The second and final term in office of Armenian President Serzh Sargsyan ends in April 2018. Since 2015, Sargsyan has been pushing controversial constitutional amendments designed to curb presidential powers and boost the post of prime minister, which he appears keen to take up. Armenian lawmakers today (2 March) will elect a largely ceremonial president to succeed Serzh Sargsyan as he seeks to extend his grip on power under a new parliamentary system of government. President-elect Armen Sargsyan (not a relative to Serzh Sargsyan), will be sworn as the new head of state on Monday (9 April), at a special parliament session in Yerevan. In March, parliament elected Armen Sargsyan, who had been Armenia’s ambassador to London, to be the next head of state. Armenian media stress that the new president will have a mostly ceremonial role, with the real executive power vested in the prime minister, who will also be chosen by parliament a week later. He will be the country’s de facto leader—in charge of the economy, foreign and security policy. Sargsyan has previously denied wanting the job but all indications are that he will take it. According to diplomatic sources, Aliyev’s move to consolidate his own power quickly in Azerbaijan must be seen as an effort to avoid uncertainty that could destabilise the fragile relations between the two former Soviet republics. 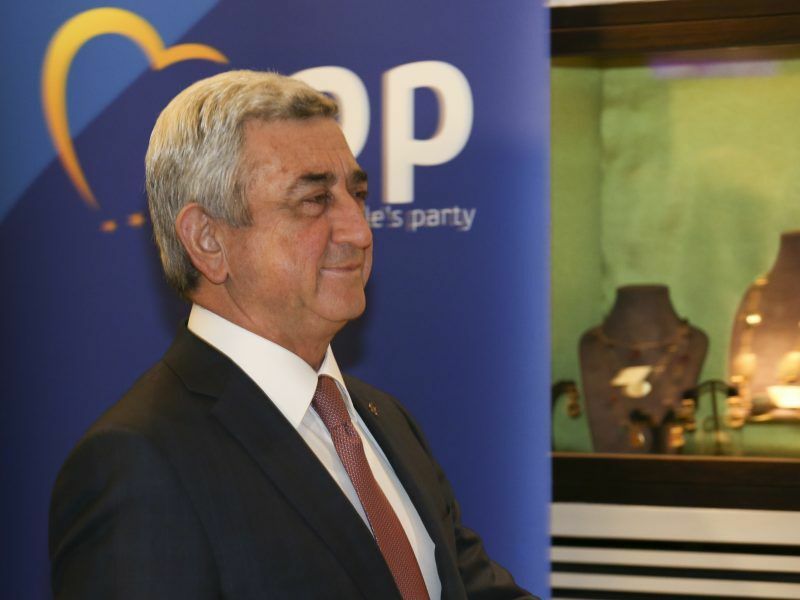 In a recent article, Carnegie Europe described Sargsyan as a shrewd politician “who plays the long game”. Armenia, which is militarily less strong than Azerbaijan, bases its security on being an ally of Russia and a member of its Eurasian union. Armenia has been traditionally successful in working with its large diaspora on promoting a positive image of the country abroad and criticising Azerbaijan. Both countries have issues in areas of human rights and press freedom, corruption and cronyism. Western-style democracy is hardly achievable in Armenia and Azerbaijan in the medium term. Azerbaijan’s economy, however, is doing much better. The EU is relying on Azerbaijan for the Southern Gas Corridor, a project to carry offshore Azeri gas across Turkey to Europe by 2020. Azerbaijan has the best of relations with Turkey. In contrast, Armenia’s relations with Ankara continue to deteriorate. Last month, Armenia scrapped a peace agreement it had signed with Turkey in 2009 in a failed attempt to normalise relations between the two countries. Their border remains closed. The EU leverage in both Armenia and Azerbaijan is limited, given that neither country is seeking the status of association, already obtained by Ukraine, Moldova and Georgia. For Armenia, this is hardly possible, because of its relations with Russia. Rich in fossil fuels, Azerbaijan does not want to be bound either way. In a recent interview with the Russian agency TASS, Aliyev described Azerbaijan as a self-sufficient country free of economic difficulties and capable of implementing an independent policy. He said that over the past 15 years, Azerbaijan’s economy had grown by 3.5 times, which he said was probably a world record. He added that Azerbaijan’s currency reserves make up the same volume as the annual gross domestic product.